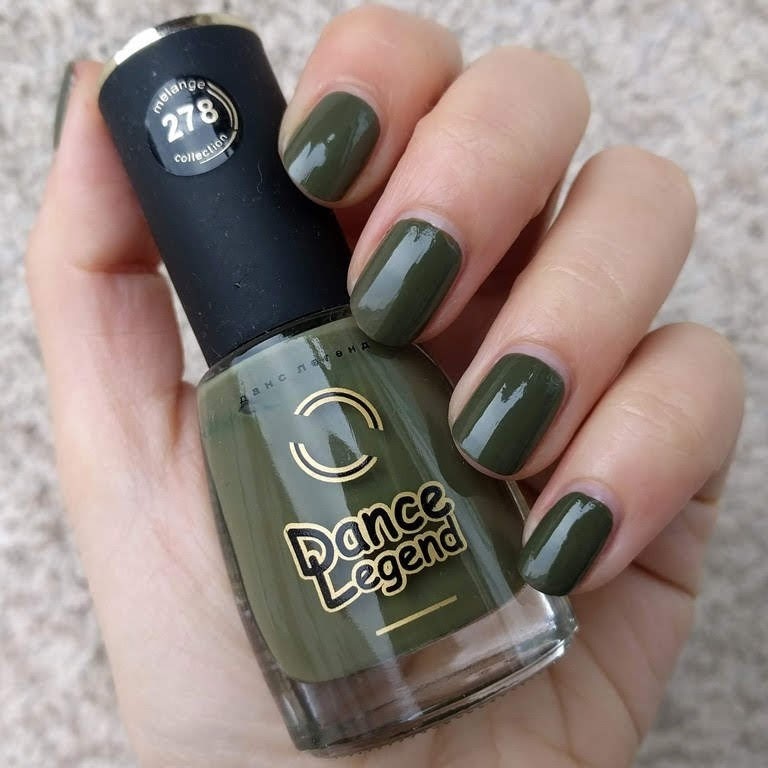 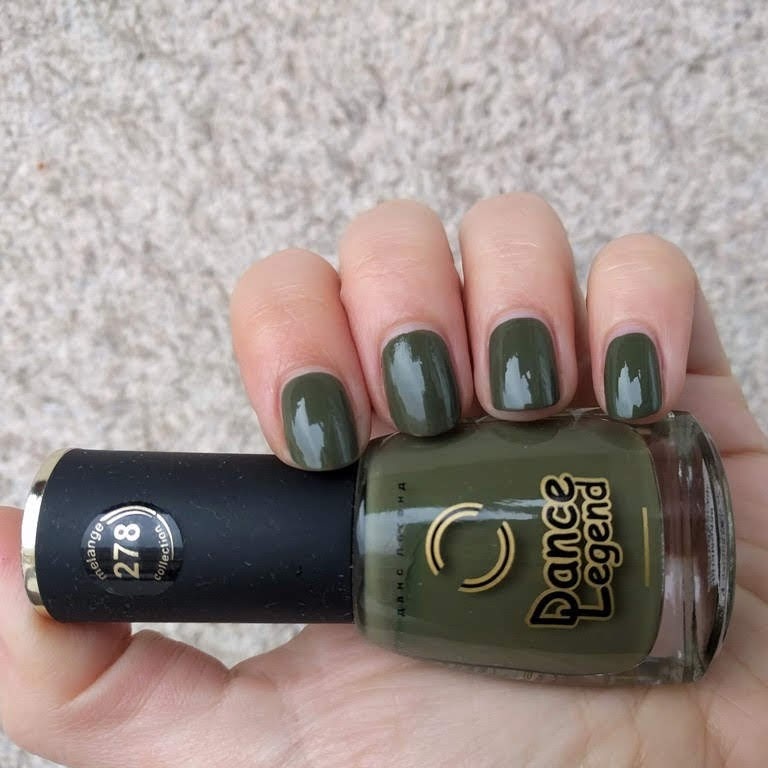 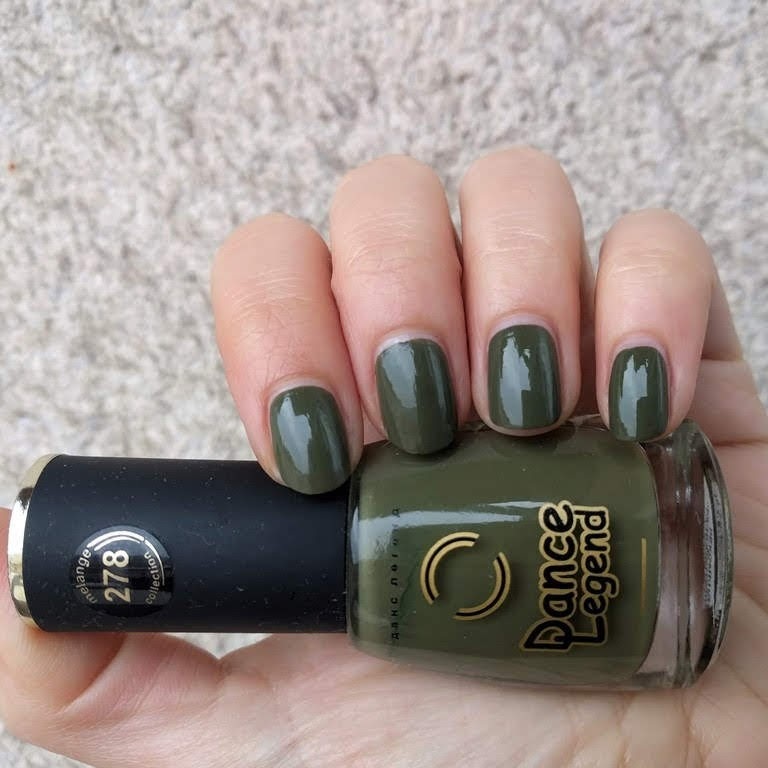 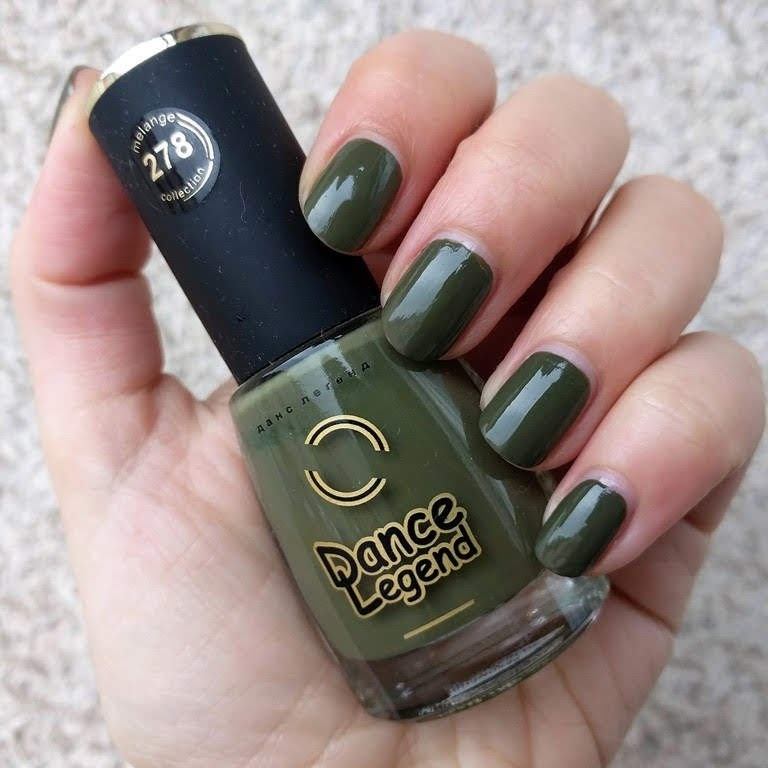 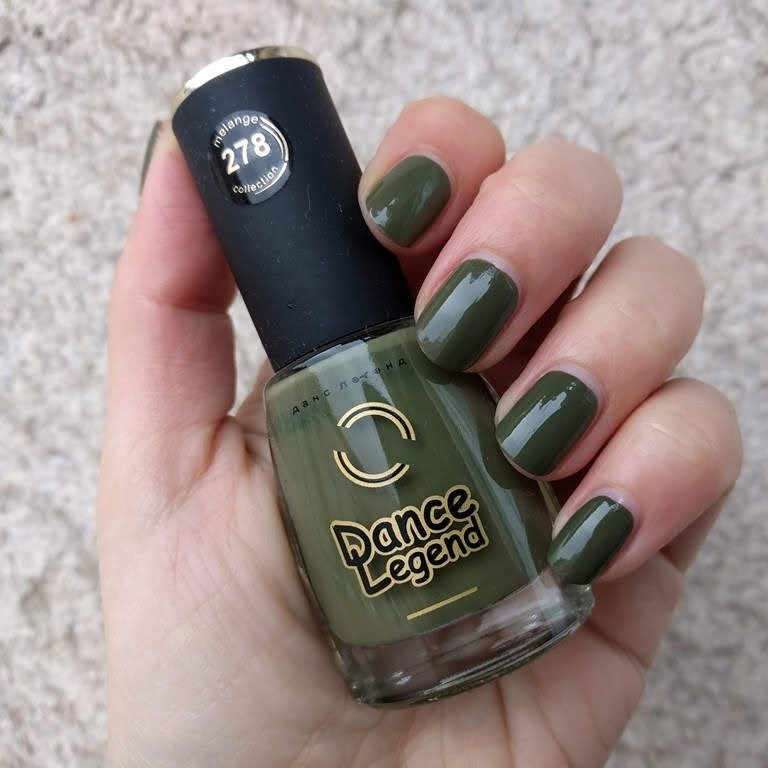 this week i continue with another green polish, 278 from dance legend's melange collection. i was in a search for a perfect creme olive shade, and since i am a fan of dance legend formula and brush, decided to choose number 278 from their melange collection. 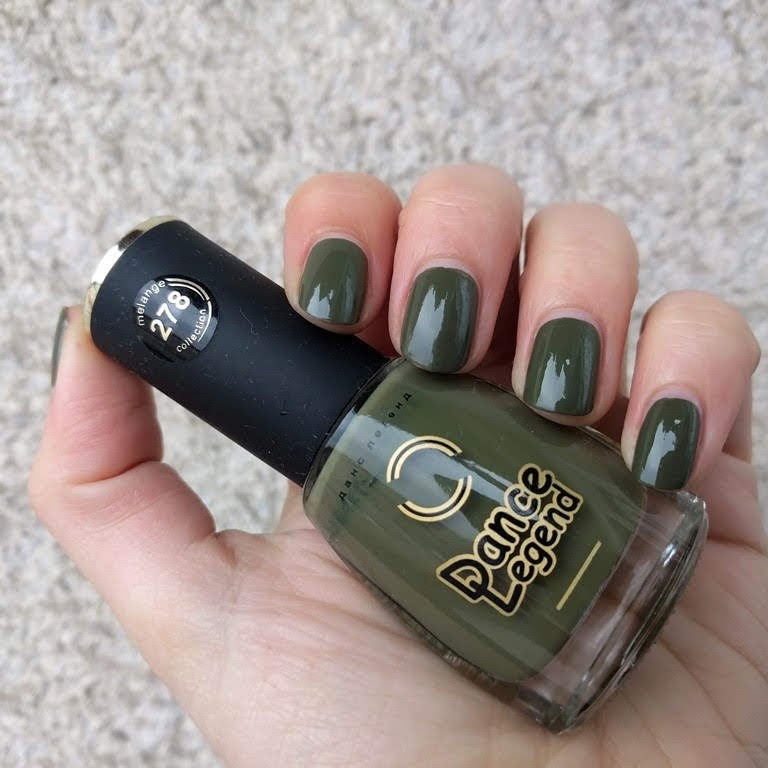 it is a rich, olive/camouflage green, a shade that i have a lot of in my wardrobe and love to have on my nails. the formula is buttery, and it's definitely a huge recommendation from me. i used base (china glaze strong adhesion) + two layers of polish + top coat (essence btgnts).